Design and order Blue Jays Two Button Baseball Jersey at CustomPlanet.com. If you need a team order, just add your roster using our easy to use team tool. You can track your order all the way through to delivery. 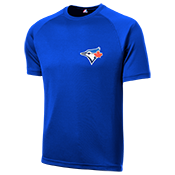 This Toronto Blue Jays Two Button Baseball Jersey is manufactured with 50% polyester/50% cotton. An offical Blue Jays logo is prominently on the front chest. 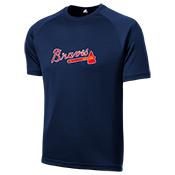 Our Official MLB Blue Jays jerseys, hats & tshirts are for Little Kids Leagues & travel ball teams only.